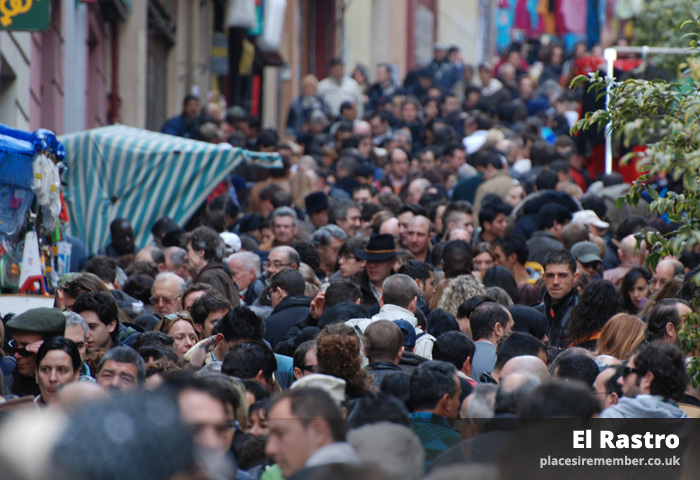 Get up early enough on a Sunday morning in the Spanish capital of Madrid, and you could find yourself part of the crowd at the market at el Rastro. Scarves, socks, and sombreros are amongst just some of the delights for sale along a half mile stretch of non-stop market stalls down Calle de la Ribera de Curtidores. You’ll also find some new cushion covers, or a paella pan. With such variety, there’ll almost certainly be something to take your fancy, but it’s worth the effort of an early start if only to experience the atmosphere. And if you think you’ve seen it all once you reach Ronda de Toledo, situated at the south end of the market, think again. Running parallel to the west of Curtidores lies Calle de Carlos Arniches, where the fun continues and an impossible number of people cram the narrow street with second hand mobile phone batteries among the more glamourous items on offer at the flea market. It’s a real experience of traditional local culture. Metro stations Puerta de Toledo and Acacias on metro line 5, or Embajadores on line 3 are all situated within short walking distance of the south end of Calle de la Ribera de Curtidores. La Latina (metro line 5) is near to the north end of all streets on which the market is located.